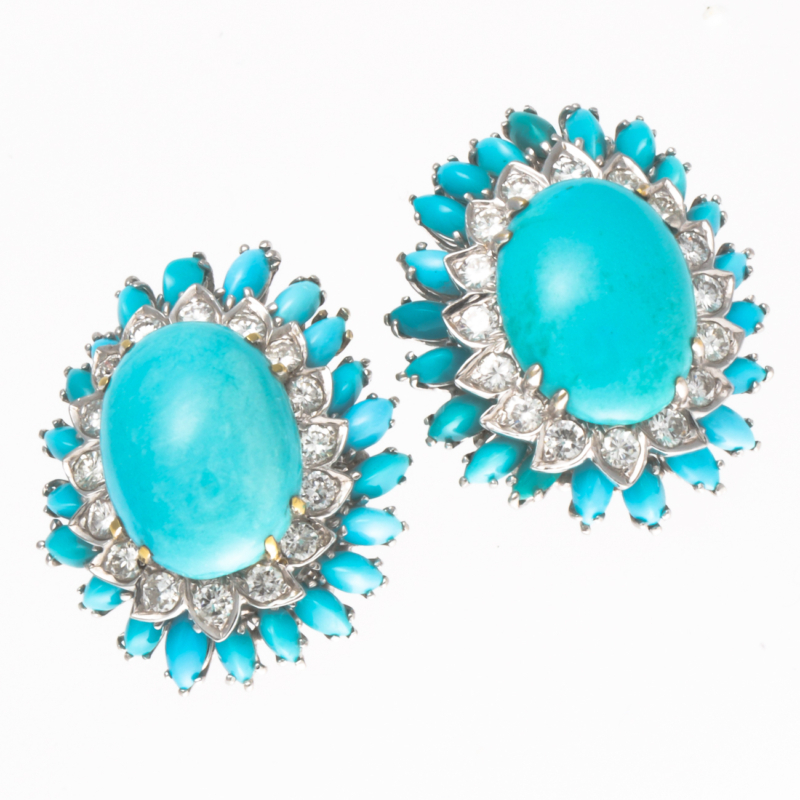 Beautiful 14k White Gold Turquoise Diamond Earrings. Approximately 2.00 Carats Of Diamonds. Clairty VS 2 Color G-H. Designed With Push Backs And Posts.